Last weekend I received some more photos from darling Anna Smolina with whom I had a little photo shoot back in November. This wool coat is something I found on eBay last summer. The original fur collar had been removed so I replaced it with some fake fur. The coat has seen its better days and is by no means without imperfections – but some of the best things are, really. I have wanted something like this for a long time and it was by far my favourite coat last autumn and winter. The silk lining is now in poor shape and needs to be replaced next. The hat was a very simple 1960s one – I just completely reshaped it to look more like a late 1920s/early 1930s cloche. 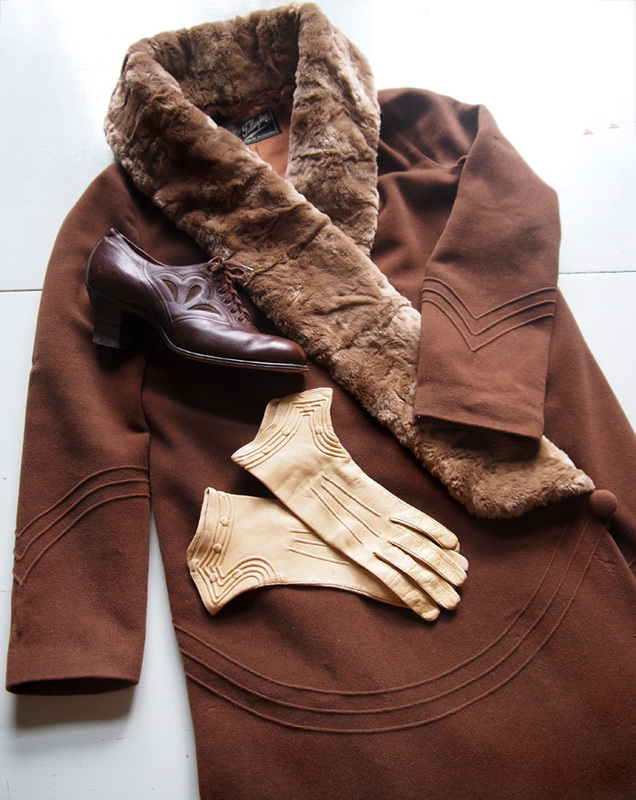 The gloves are from Old Touch – my favourite vintage shop in Stockholm and the 1930s shoes were actually made in my hometown by a shoe factory called Attila Oy. Don’t you just love the details on these? I couldn’t help but gasp as I was taking a photo of all of them together and the lighting perfectly brought out every single stitch – stunning! The attention to detail, amazing craftsmanship and quality are really what make one fall in love with certain vintage pieces. 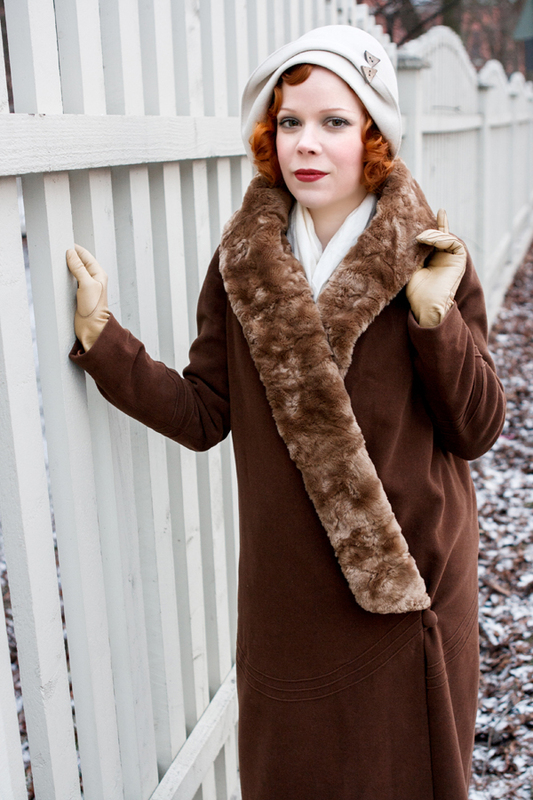 A young lady from Tampere, Finland, with a passion for the old days. I have always been an aesthete, which eventually got me into vintage. I wear vintage daily and my pet period is the 1930’s. As certain vintage items are difficult to find I also often make my own clothes drawing inspiration from old magazines and photos. I have a soft spot for old shoes and aspire to surround myself with pretty vintage heels. Uutistoimitus: Voita Valentin Vaalan Rikas tyttö (1939) DVD! Uutistoimitus: Voita Lea Joutsenon tähdittämä Neiti Tuittupää! i am LOVING this blog! the dieline is a litlte too polished for my taste, if that makes any sense this is such a wonderful source of the kind of material that really inspires me for what i want to make. love! thank you.